← How Much Website Do You Need? The path from page to stage for a play is often a long one. The road gets even longer if you’re completely new to the world of theater. Writing plays is a lot different than work you might do for the web, for magazines, or as part of a ghostwriter contract. For one thing, you’re not likely to sell your play and walk away from it without a single backwards glance. The playwright is usually an integral part of the rehearsal and development process of a play. It’s usually not recommended that you send out your play to theaters or to an agent the second you finish writing it. For one thing, many theaters are deluged with scripts from both aspiring playwrights and well-known writers. Plays are also different creatures than short stories or articles. Reading over a play before sending it out usually isn’t enough. You also want to see the play brought to life by actors. You don’t have to launch a full production of your play. A simple reading, where actors sit in chairs with scripts in hand, will suffice. The reading will give you a chance to hear how the dialog of the play works when it is being spoken by real people. It’s not required, but having other people in the room during the reading can be helpful. At the end of the reading, ask for constructive criticism from the audience or share your particular concerns for the script and ask the audience for their reactions. Some playwrights decide to work with a dramaturg at this point. A dramaturg is a person who helps you shape your play into what you want it to be. There’s a lot of trust involved when you work with a dramaturg, so it’s important that you both see eye to eye and that she or he understands what you want from the play and what you are struggling with, if anything. In some cases, a dramaturg acts like an editor. In other cases, she or he can be a person you bounce ideas off of. Once you feel the script is ready for a full production, you can start looking for a home for it. One way to get your play out there is to try to establish a relationship with a local theater company. 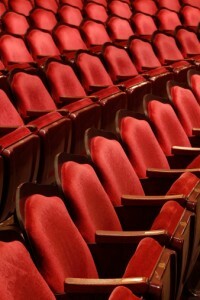 Reach out to small community or professional theaters in your area and introduce yourself. Don’t just send your play to them with a letter. When you’re planning the first reading of the play, it’s helpful to reach out to the theater to see if they have actors who can participate. Play festivals, play contests and colleges with theater departments are other places to look when sending out your play. New play festivals are designed to help beginning playwrights develop their voice and scripts. College theater programs often have plenty of students who are willing to use new works for workshop productions or in class. Writing plays isn’t a way to get rich quickly. There might not be any money in it when you first get started, though contests and festivals usually do pay some fees. If you find you love playwrighting, keep at it, and remember, even the big-name playwrights struggle to earn a full time living as playwrights. Amy F is a freelance writer available on WriterAccess, a marketplace where clients and expert writers connect for assignments.